It was a Monday and this stall happened to be one of those stalls that were opened. 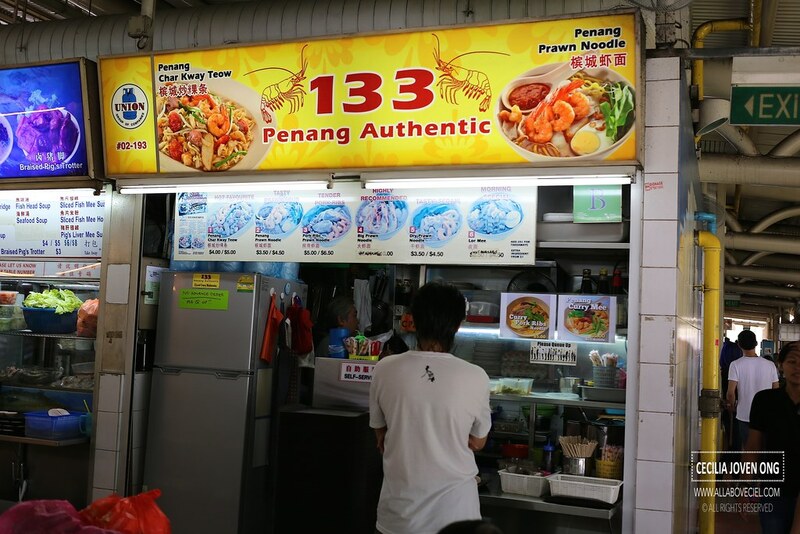 This stall has been in this food centre for a few years, serving Penang Fried Kway Teow and Penang Prawn Noodle, both items are equally popular. 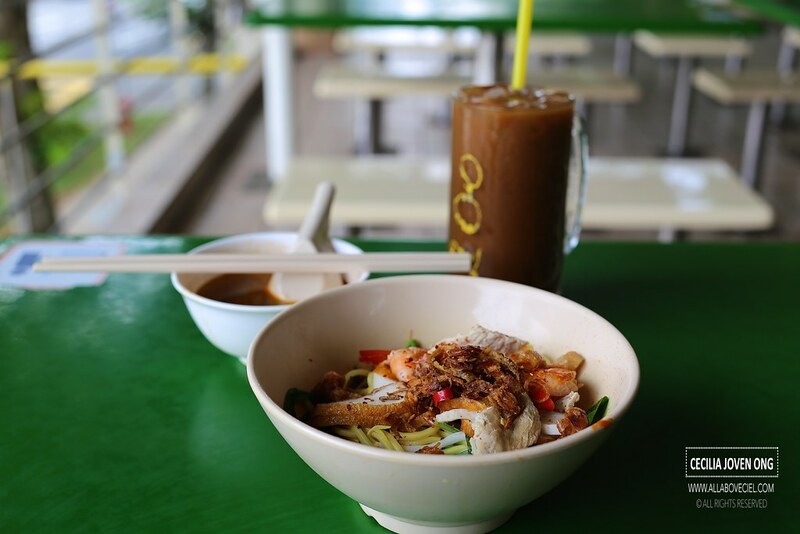 There is usually a long queue if you come during lunch on weekends, and the waiting time could be quite a while as most of their customers are here for their Penang Fried Kway Teow as it is done by batches. Some of these customers could not wait and actually gave up queuing and walked away. 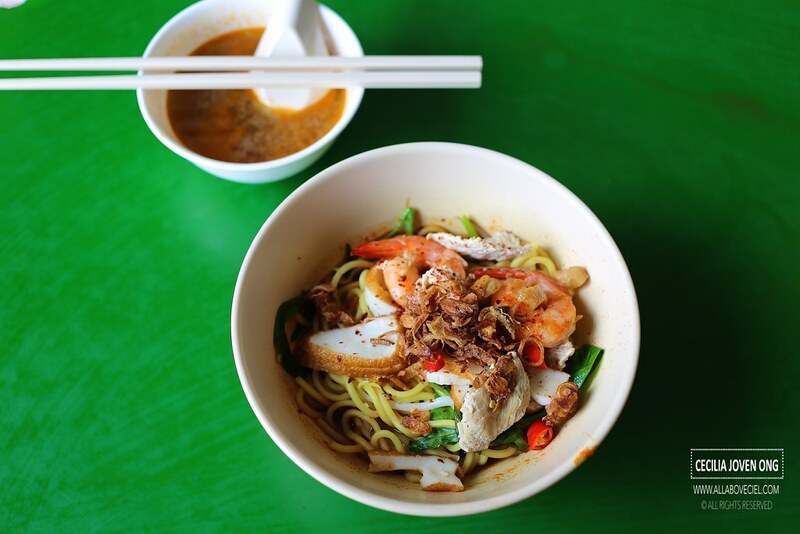 There are 2 different types of Prawn Noodle on their menu, the Penang Prawn Noodle that is served in the soup version and the local style Prawn Noodle that is served in the dry and soup version. I ordered the dry Prawn Noodle with extra chilli which is offered at $3.50 and larger portion at $4.50. I was there just before lunch so no queue at that time. The portion at $3.50 came with a good portion of yellow noodles along with a few slices of fish cake and lean meat with 2 pieces of prawns and some greens, garnished with a handful of dried shallots and fried pork lards. Though with extra amount of chilli added, it did not taste as spicy as i would like it to be. Its overall taste was just average and not quite memorable. 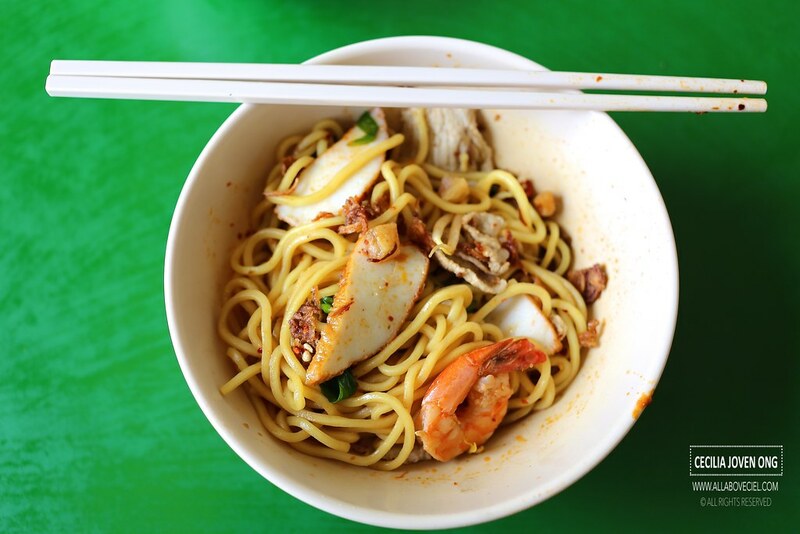 Their Penang Prawn Noodle might actually be a better option since this is what they are supposedly famous for. I have eaten their Penang Fried Kway Teow before though it is not too bad but i would not bother to queue for it as there is actually a better Penang Fried Kway Teow at Yu Hua Food Centre at Jurong East Avenue 1 by Simei Penang Laksa Specialty which i enjoyed much more. Royal J's Seafood : Fried Porridge is a must-try!